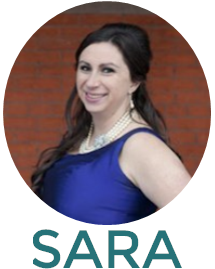 A Bedazzled [kind of] Life: 83. Will you be my bridesmaid? 83. Will you be my bridesmaid? 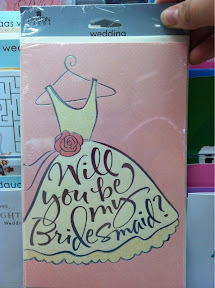 Spotted: super adorable "will you be my bridesmaid or maid of honor?" 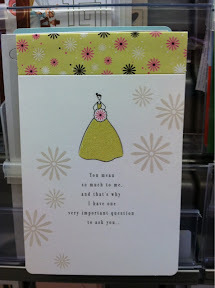 cards at Target! I was in Target the other day and saw these and thought they were super cute! 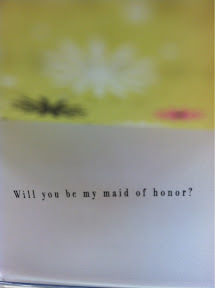 It makes for a great keepsake and makes asking someone to be in your bridal party slightly more creative! Check out your local Target!! 80. Priscilla of Boston breaking news!